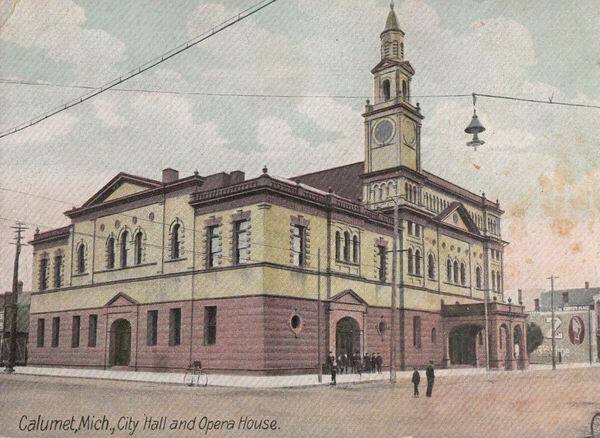 One of the first municipal theaters in America, the Calumet opened on March 20, 1900, the greatest social event ever known in copperdoms metropolis. The theater contained a magnificent stage and elegant interior decorations, including an electrified copper chandelier. For over a decade, Copper Country audiences witnessed the broad panorama of American legitimate theater, and many prominent stage personalities, both American and European, trod the boards of the Calumet. By the 1920s, motion pictures replaced live theater, and, subsequently, live drama returned to the Calumet. 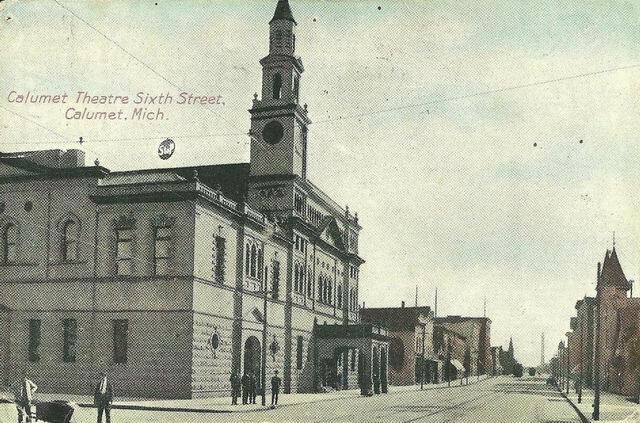 The reopened community theater resumed its position as a focal point of civic pride for the people of Calumet and the Copper Country. 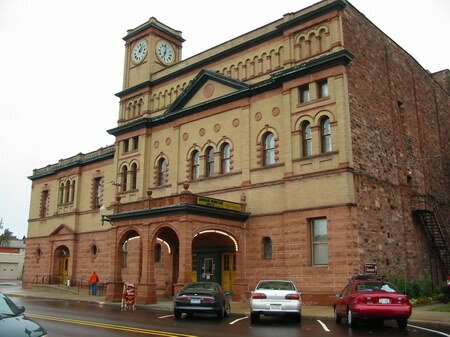 The Calumet Theater is a two-tiered, yellowish-brown brick vernacular Renaissance revival structure with a clock tower. It is located in a large separate unit of the Calumet municipal building. 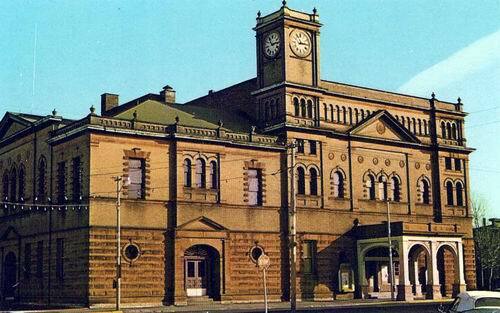 The theatre rests on Portage Entry sandstone and the roof is covered with copper and trimmed with copper cornices. A porte-cochere covers one entrance and there is an illuminated, columned marquee at the front entrance on Sixth Street. The elegant interior features fantastic murals on the vaulted ceiling and holds 1200 seats with no obstructed views. 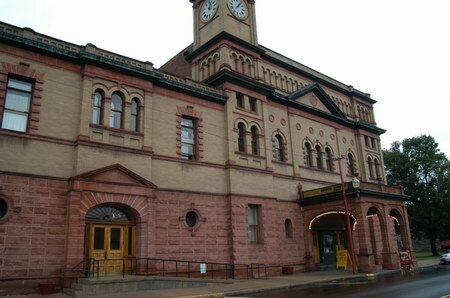 The Calumet Theatre is an imposing structure with statewide significance. Local architect Charles K. Shand designed the building and William Eckert of Chicago was the interior designer who chose the crimson, gold, and ivory color scheme. The clock tower originally rose to a square open bell tower which was topped by an octagonal cupola. After years of use as a live theatre hosting nationally renown acts, the building functioned as a motion picture house and civic gathering center. Now renovated and owned by the Village of Calumet, the theatre hosts live entertainment once again.